For more than 1,000 years the north part of Vietnam was part of china. In AD939 an independent Vietnamese state was created. The foundation of the Vietnamese culture was formed through 2 major cultures – Chinese and Indian. And in 1802 we given the name Viet Nam. The country was colonized by the French from the mid-19th century to 1954 which influenced all aspects of life. After the Vietnam war North and South Vietnam were unified in 1976. 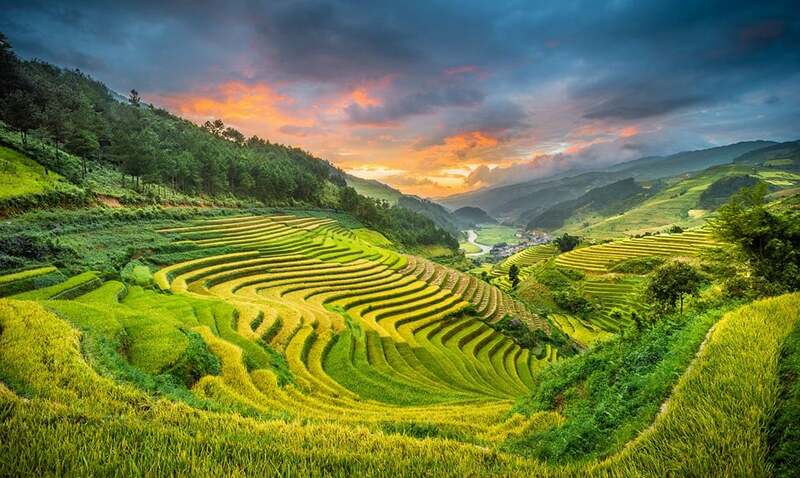 Vietnam is split into 63 provinces and cities; geographically three quarters of the country consists of mountainous terrain. Along the coast are many beaches including Lang Co, Nha Trang, Tau, Ha Tien. Major ports include Hai Phong, Da Nang, Qui Nhon and Cam Ranh. The country is blessed with many incredible national parks including Ca Ba, Cat Tien, Bach Ma, Cuc Phuong and Phong Nha-Ke Bang national, home to Son Doong cave – the biggest cave in the world. Population is made up of 54 ethnic groups which have their own languages and identity. The Kinh (Viet) make up 90%.